Indian festivals are source of bringing lives together. During festivals, people love to enjoy the rhythm of music and savour delicacies. In India, Navaratri, is one of the festivals that people loves to celebrate. The gala of Navratri continues for nine-long days. It will begin on 10th October. There is huge significance of worshipping Maa Durga for these days. Many people also observe fasts during these nine days. 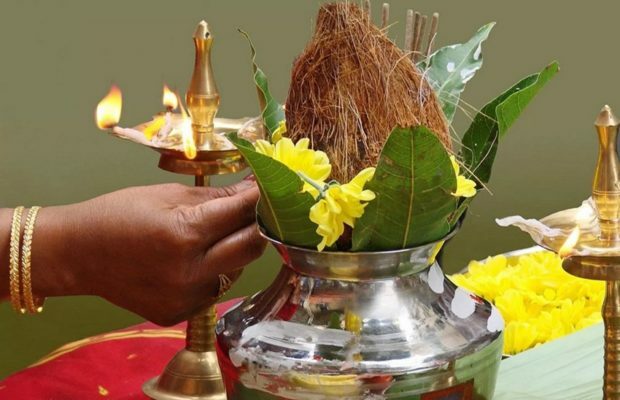 People follow strict rules and customs while doing Navratri pooja. Undoubtedly, it is important to follow the appropriate rules and instructions while worshipping. There are certain donts regarding Navratri. Check them out. It is advised not to eat onion, garlic and non-vegetarian food. People should also stay away from alcohol. It is good that people not keep sleeping till late as this is a huge festival. During these days, it also advised not to indulge in sexual pleasure. One should not disrespect anyone. In fact, don’t let anyone to go out of home without alms during Navratri. People should also avoid getting haircut, nail cut and shaving during these days. It is also advised not to eatables from strangers as superstitious acts are very common during Navratri. A house is not happy if they don’t respect women. Hence, never disrespect women.